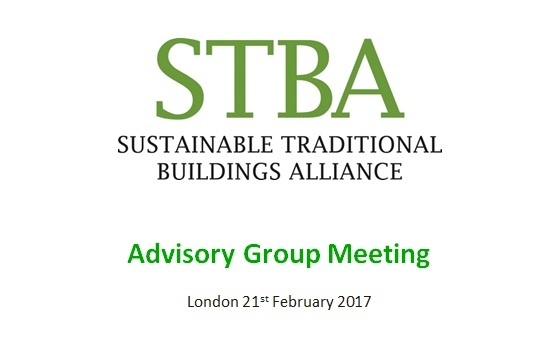 STBA Members, Supporting Organisations and Technical Experts attended the 2019 STBA Advisory Group on 19th February 2019 at our offices in London. Nigel Griffiths opened the meeting with an update of our work in 2018 followed by guest speaker, Simon Ayers, who gave a presentation on the Trustmark quality assurance scheme for PAS 2035. The second half of the meeting was dedicated to discussions with our members about priorities for the coming year. The lack of knowledge across the retrofit and maintenance industry is of widespread concern amongst our Members and Supporting Organisations. Without appropriate skills, ongoing training and quality assurance, any benefits from improvements to policy will be futile. The lack of training spans across all those involved with the refurbishment, upkeep and retrofit of our buildings – builders, plumbers, electricians, surveyors, architects, energy efficiency consultants, lecturers, Building Control and the insurance industry. This workforce enters the industry via difference routes – standard career path, family businesses, career changes. 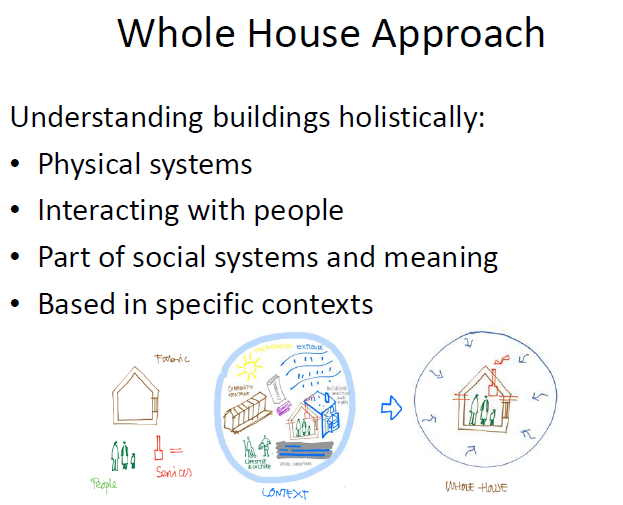 Whilst the focus of the STBA is on older buildings, the principles of building physics, context, sustainability and health are common to the whole of the built environment. Education programmes should, therefore, include information about all types of buildings and provide ongoing access to cohesive guidance and training. We would like to prepare a road-map of the training and education that is available so that the areas of concern can be addressed. Even with highly skilled people available, property owners will still be tempted by the promise of ‘getting the job done’ at a lower price. It is, therefore, important that owners and occupants are empowered with the information they need to take responsibility and make appropriate choices. However, much of the current guidance available suggests ‘asking an expert’ and home owners are lulled into a false sense of security by credentials that may or may not be relevant for their project. One of the proposals receiving widespread interest is a Building Passport. This would document information about a property – type, structure and age as well as any subsequent work carried out (when, who by and the materials used, etc). It could include surveys, EPCs and guarantees. There is also potential for links so that the owner/occupier can access the appropriate guidance for their type of building. 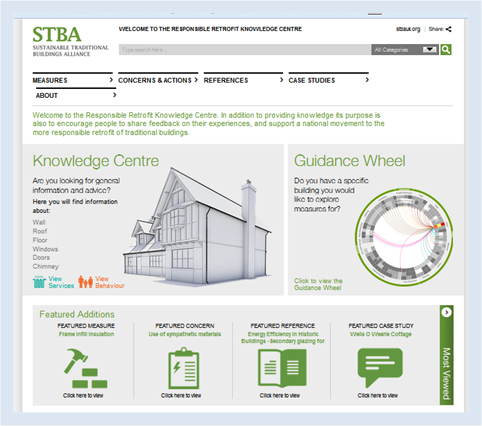 Taking the members’ comments into consideration, the STBA will continue to highlight the importance of the accurate assessment of a building as a first step. We have identified two opportunities for encouraging/enforcing a meaningful, whole-house survey (see below). This will enable property owners (and those carrying out building works) to be better informed about their buildings and make appropriate decisions about their future. The first of these is at the time of an EPC assessment. Energy Performance Certificates were originally introduced as a benchmarking and compliance tool. However, they are now being used in government policy and programmes to drive improvements in the energy efficiency performance of buildings. As a result, EPCs are increasingly being used as retrofit design tools - a purpose for which they were not intended and for which they are inadequate. 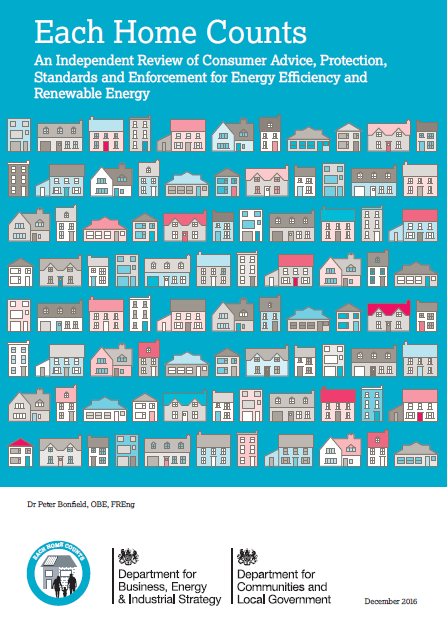 We are continuing to have discussions with BEIS to ensure that EPCs are improved and to become part of a wider energy or sustainability assessment. The second opportunity for a whole-house survey/assessment is pre-retrofit. 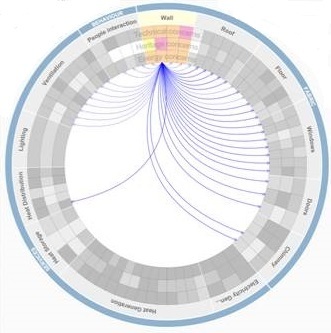 We are currently developing survey templates as part of a pilot scheme with Melin Homes under the BEIS Thermal Efficiency Innovation Fund initiative. In addition to thermal performance, the survey templates will cover the condition of the building fabric and services, ventilation and indoor air quality as well as context and heritage value. Following further testing, the process and supporting methodology will be released as a toolkit for industry use across the UK. The presentations are available to download on our Presentations & Articles page. 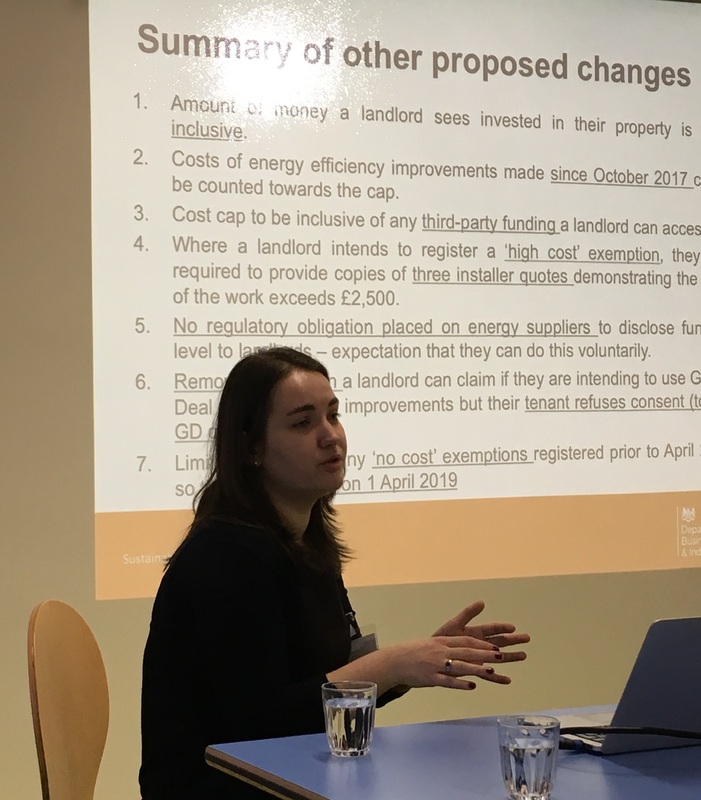 Our Autumn event, held in conjunction with Fit for the Future, analysed the current Minimum Energy Eficiency Standards and looked at how these are being interpreted in practice in the rented sector. Helene Bartos, from BEIS, who joined us for the discussions, adviced on what the regulations mean and listened to the evidence of problems that are being encountered. In addition to complying with the standards, delegates were keen to hear how to achieve real energy efficiency - which is not always the same thing! Whilst policy continues to rely on achieving an EPC level, the focus of property owners will not be on achieving real thermal comfort and addressing the needs of the building and its occupants. The event succeeded in identifying the problems and possible solutions that we will use for further dialogue with BEIS. The full programme can be seen below and the presentations are available here. 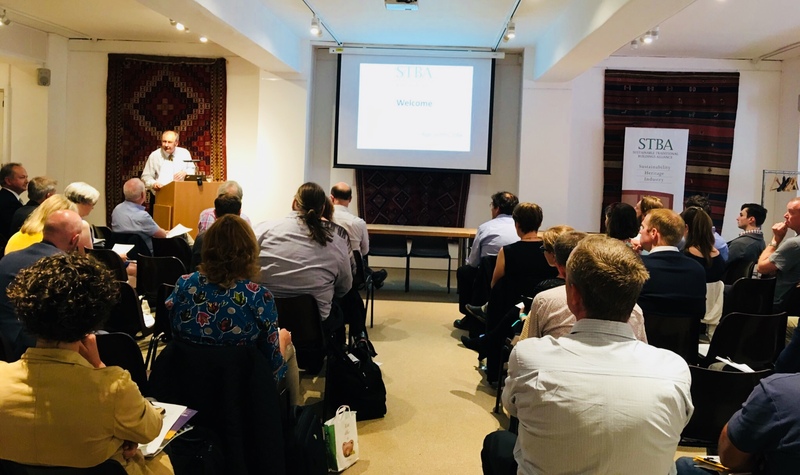 A full house of delegates, speakers and exhibitors joined STBA and SPAB for the annual joint conference on 7th June 2018. This event was kindly sponsored by our members, the Property Care Association and Alan Baxter kindly provided the venue. The programme can be seen here. We are in the process of uploading the presentations - click here to see what is currently available. We welcomed our Members and guests to the 2018 Advisory Group Meeting on 20th February. 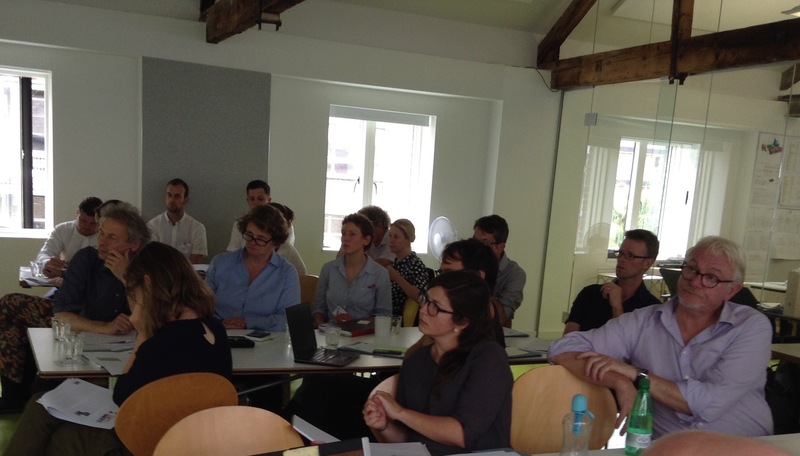 In addition to discussions on our work programmes for the coming months - and hot topics of concern to our members - we were very pleased to have speakers from BEIS on the topics of PRS and ECO. These were Senior Policy Advisors, Tamara Dimova & Rita Varsani, respectively. 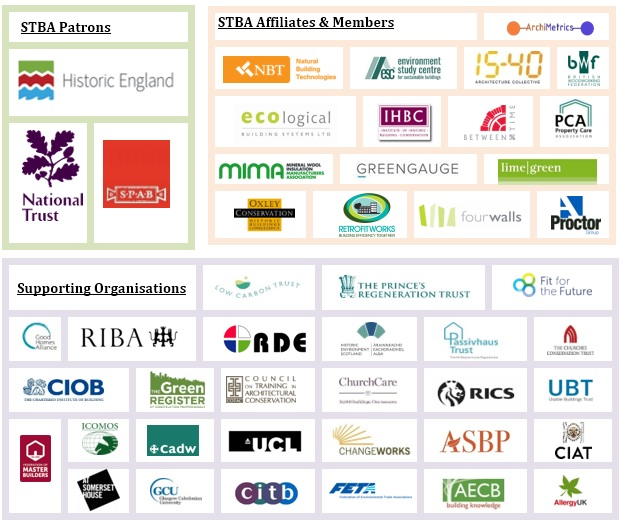 The STBA and it's Supporting Organisations are continuing to have dialogue with BEIS on the concerns we have regarding the assessment and retrofit of older buildings. The BEIS presentation can be downloaded here. We would like to thank all those who joined us for our Sustainability & Heritage event at the end of November. 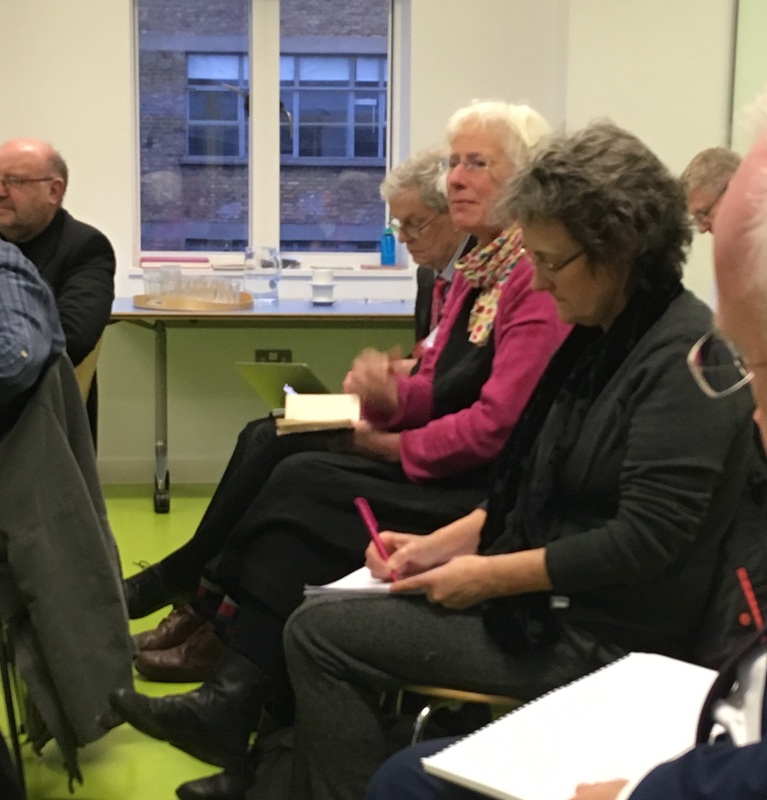 The event got the ball rolling for this important programme by engaging with people from heritage, the environment and industry – but this is just the start of an ongoing discussion. A summary of the conclusions can be downloaded here. Our annual Advisory Group meeting is a get together of Members, Affiliates, Supporting Organisations and Panel of Experts to discuss the future programme priorities of our members and possible projects for the STBA. 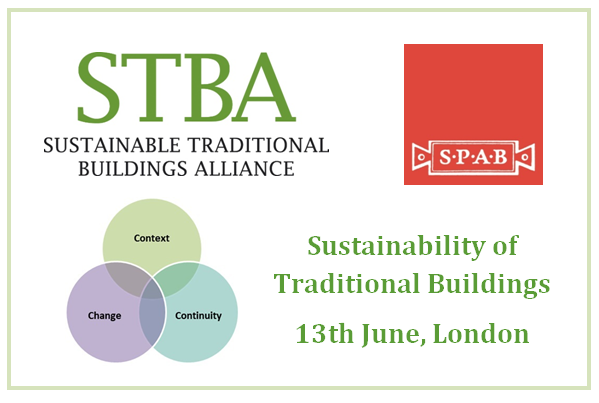 With collaboration being key to maintaining, upgrading and promoting the sustainability aspects of older buildings, the STBA is best placed to bring together organisations from Heritage, Industry and Sustainability. The new membership for not-for-profits was launched at the meeting. 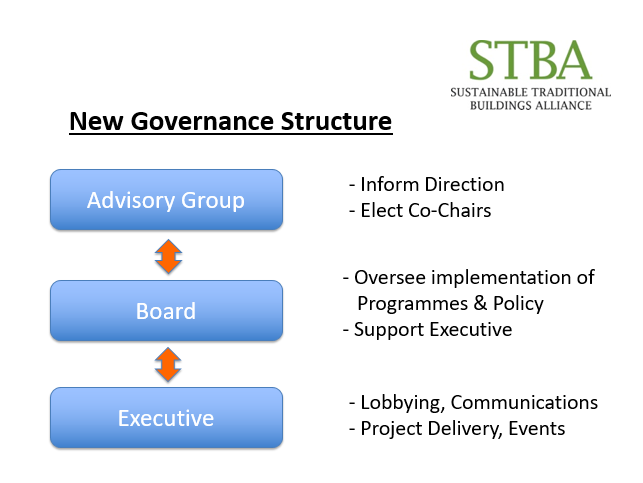 Supporting Organisations now have the opportunity of working closer with STBA as full members. This will enable them to get involved with our programmes and working groups, especially where these overlap with their own projects. 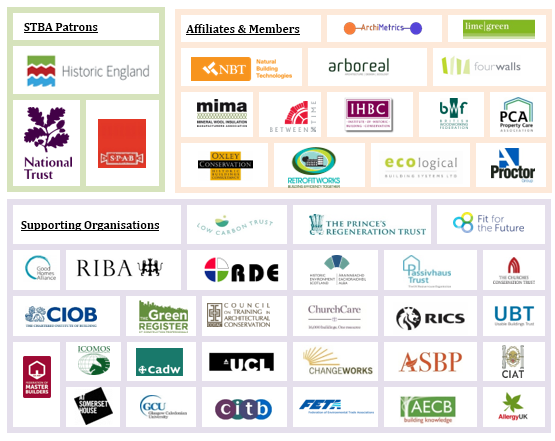 Full membership will include the additional benefits already enjoyed by our Affiliate Members, such as our Policy Mapping updates and reduced rates for delegates and exhibitors at our events. 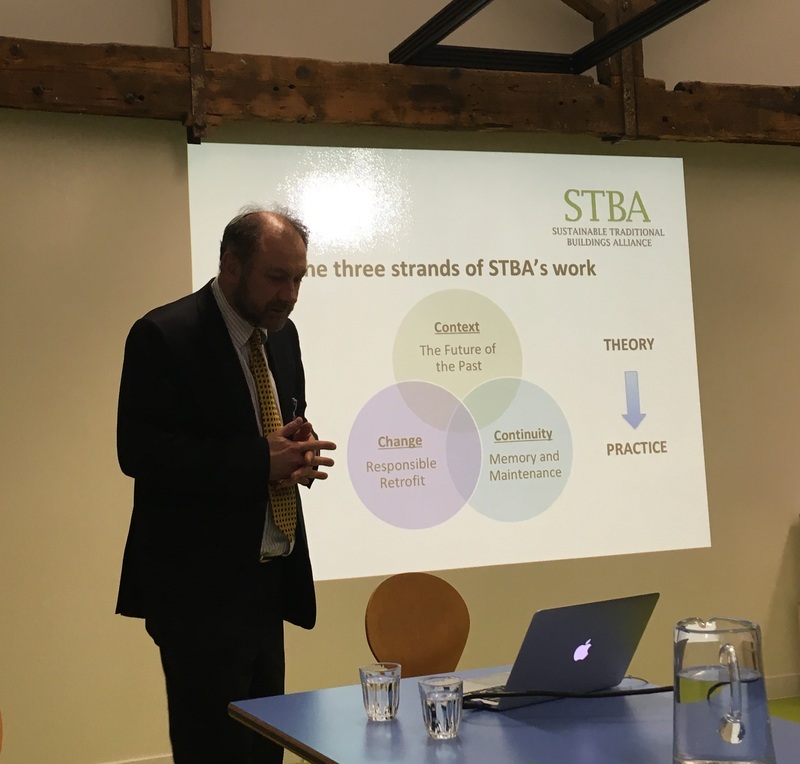 To get involved with the STBA work, see how your organisation can join us as Members (not-for-profits) or Affiliates (for profits). We were pleased to welcome to the meeting, guest speaker, Peter Bonfield together with James Sharples of BEIS. Discussions centred around Each Home Counts, and our three sectors - Heritage, Industry and Sustainability - gave their viewpoints on the report. Although what is needed for retrofit can be stated quite simply, the 'how' of its implemented is where industry and experts need to get involved to make it work. The Alliance is keen to get across the need for a different approach to retrofit for solid-wall buildings. The obvious wealth of expertise amongst its members is well placed to contribute to the Each Home Counts workstreams. The STBA is also concerned that there be a focus on a whole house (responsible retrofit) approach. Without this there will be adverse effects on health (for the buildings and occupants) and a lost opportunity for greater carbon reduction. In addition, the implementation of of Each Home Counts needs to flag up existing problems caused by inadequate maintenance and inaapropriate measures and materials. Peter agreed that the construction industry needs to look at wider issues, including flooding. More about the Bonfield Review on our Policy page. 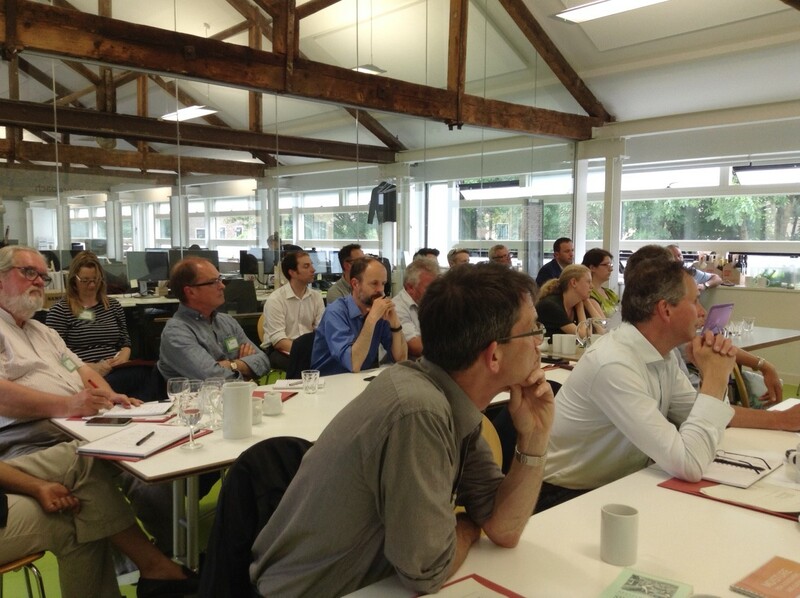 The 2016 STBA Masterclass series focused on various aspects of Responsible Retrofit (whole house) to advance the knowledge of those involved with the thermal upgrade of solid-wall buildings. Without consideration of the building physics, context and condition of an existing building, isolated retrofit measures are doomed to failure. The sessions provided essential information for energy efficiency, health and the preservation of our heritage. The delegates included surveyors, conservation officers, town planners, architects, energy assessors and heritage consultants from the spheres of sustainability, heritage and industry. In addition, members of our panel of experts were invited to attend and join the discussions. Comments received from delegates - “extremely useful and thought provoking”, “excellent and much needed”, “very informative”. Insulation, moisture movement & thermal bridging – the physics, the evidence and strategies to reduce risk for solid wall buildings. Neil was joined by Valentina Marincioni of UCL. Energy efficiency can change the way moisture behaves in a building – a planned ventilation strategy, essential for the health of the occupants & building fabric. Assessment of old buildings before, during and after refurbishment – advice on what needs to be considered. Nick was joined by Bob Prewett and Ian Mawditt, explaining the whole house/building approach to retrofit and demonstrating how it should be applied in practice to solid-wall buildings – from the deep retrofit of individual buildings to wider schemes addressing whole portfolios of traditional buildings. Nick was joined by Ian Mawditt and architect Bob Prewett (of Prewett Bizley). 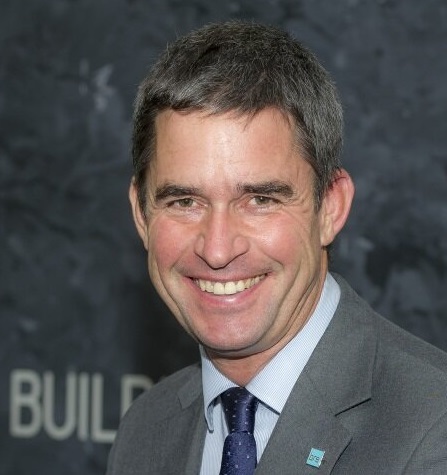 Neil May is recognised as a leading authority in sustainable building, in both academia and industry. In addition to being CEO for the STBA, Neil is a Senior research Fellow at UCL IEDE. He is also MD of the UK Centre for Moisture in Buildings. 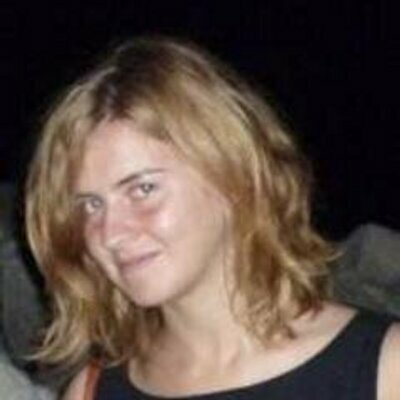 Valentina Marincioni is a researcher in building physics at UCL IEDE with a background in Thermo-Mechanical Engineering; her experience in moisture risk and durability of sustainable buildings led her to collaborate with heritage bodies on the impact of energy efficiency interventions on traditional buildings. Ian Mawditt of Fourwalls Consultancy. 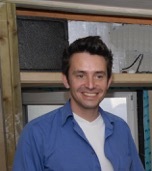 Ian is an independent building researcher, specialising in the field of energy performance, occupant comfort but is best known for his work on ventilation and retrofit. Ian’s work has provided an evidence base for informing building performance standards and he was involved in the development of revisions to Part F and Part L of the Building Regulations. 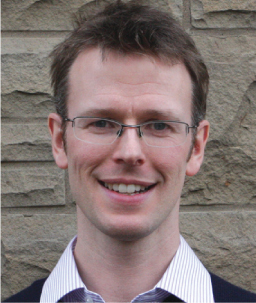 Ian is engaged by Innovate UK as an expert under the Building Performance Evaluation programme, and provided technical guidance for the Retrofit for the Future programme. Richard Oxley of Oxley Conservation. Richard is a full member of the IHBC and is an RICS Certified Historic Building Professional. 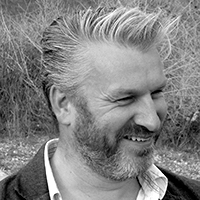 Richard founded Oxley Conservation, a specialist historic buildings consultancy, in 1997. His publications include “Survey and Repair of Traditional Buildings – A Sustainable Approach” and he jointly drafted CIBSE’s “Guide to Building Services for Historic Buildings – Sustainable Services for Traditional Buildings’. Nicholas Heath, our Associate Technical Director. Nick has led award-winning projects, regarded internationally as examples of best practice in historic building retrofit and has developed city-wide strategies for solid-wall responsible retrofit. Nick is the author of numerous technical papers, guides and planning guidance and is well-known for his technical training and high-profile research into solid wall insulation. Bob Prewett, Architect. Bob is a founding partner of Prewett Bizley Architects and member of the RIBA Sustainable Futures Group. Prewett Bizley are well-known for achieving high levels of thermal performance (to Passivhaus standard) whilst retaining heritage features and character. We would like to thank the sponsors of the drinks and networking that followed each session, Ecological Building Systems, Enviroform and Aereco. our Masterclasses for 2017 will be commencing in the Spring. 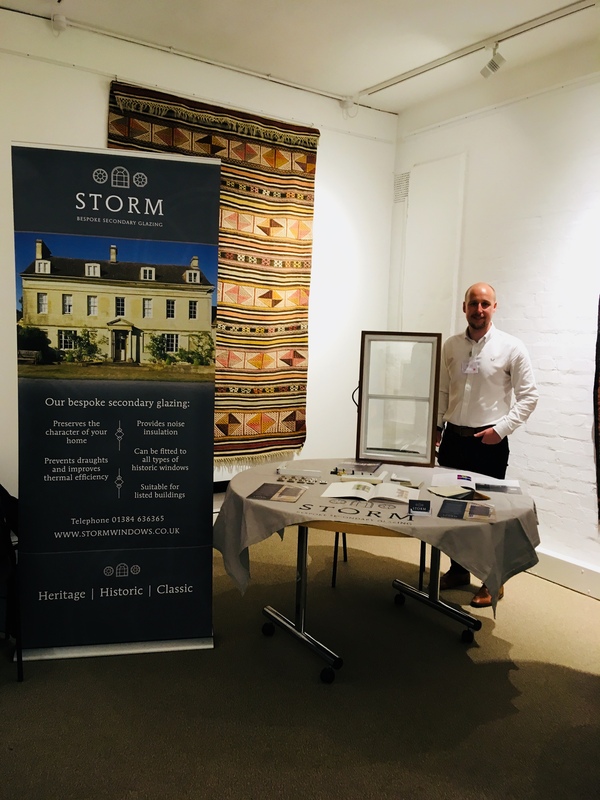 We were very pleased to join our Affiliates, the Property Care Association, at their recent Conference in Cambridge focusing on the important issue of Moisture in Buildings. All three sessions – Resilience, Mould & Air Quality and Emerging Challenges – were well received by delegates and it was under the last of these themes that our Neil May and Nick Heath spoke. 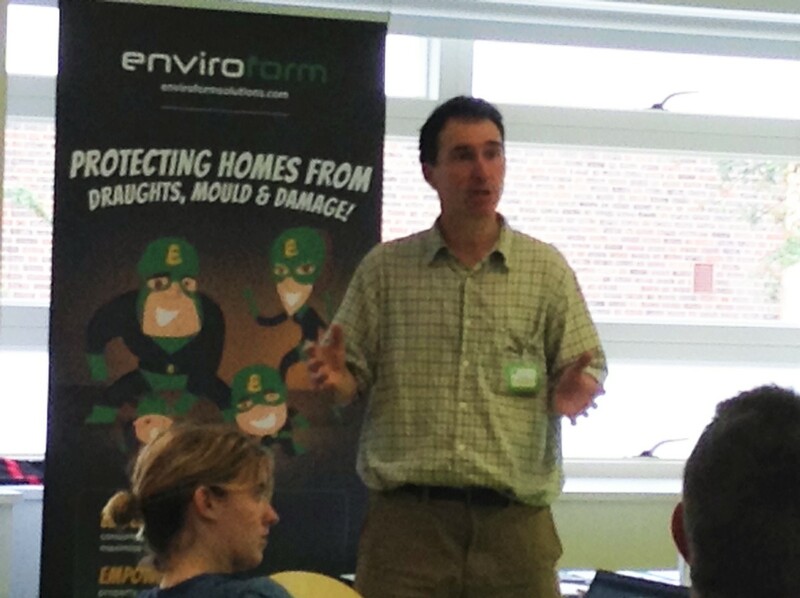 Neil informed delegates about the UK Centre for Moisture in Buildings, the reasons for its creation and future goals and Nick Heath’s presentation focused on the use of external wall insulation in retrofit. 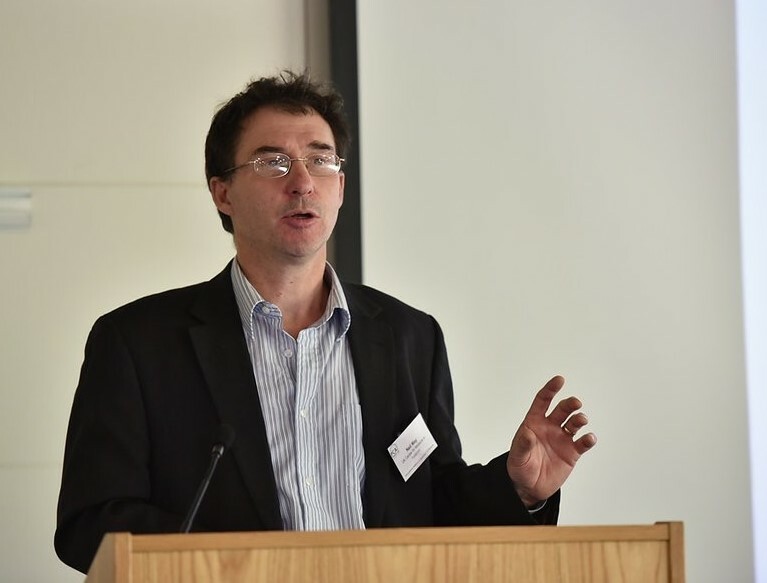 Also speaking at the event was BRE’s Colin King who talked about unintended consequences of retrofit works, Dr Hector Altermarino (Mould in buildings: implications and causes in occupied spaces) and Caoimhin Connell (A perspective on mould from the USA. Debunking misinformation about the causes, implications and remediation). 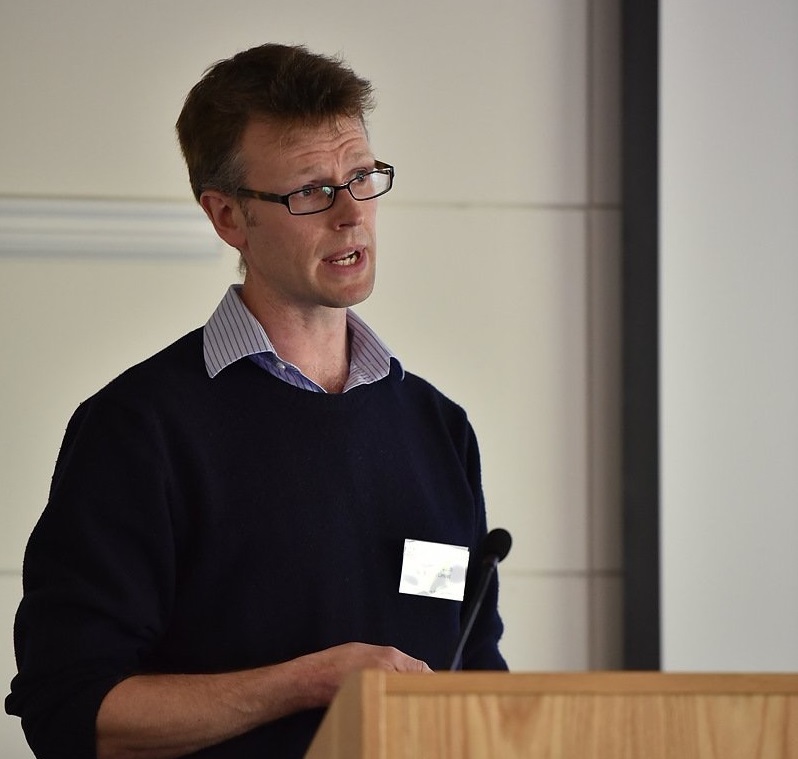 Historic Scotland's Hygrothermal Seminar, provided an overview of the various hygrothermal topics relevant to the conservation and retrofit of older historic buildings. Following an introductory presentation by Ewan Hyslop and Carsten Hermann of Historic Scotland, Joseph Little of Building Life Consultancy and Chris Sanders of Glasgow Caledonian University discussed the two principal methods currently used for hygrothermal assessments of building construction –the Glaser method and numerical simulation– together with associated standards and software tools. 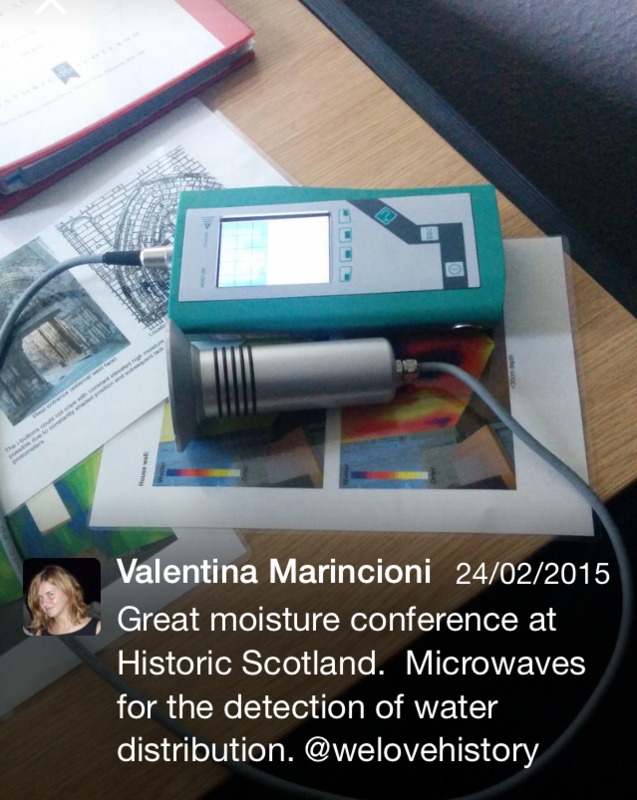 State-of-the-art methods for moisture measurements in situ were presented by Caroline Rye of ArchiMetrics and Valentina Marincioni of University College London. Focussing more specifically on material deterioration, Christopher Hall of the University of Edinburgh described the multitude of factors involved in moisture evaporation and Stephen McCabe of Northern Ireland Environment Link discussed the impact of increased rain water penetration on stone deterioration processes at a chemical and physical microscale. This was complemented by Joseph Hagg of Adaptation Scotland with an overview about the availability of data on weather and climate change and by Paul Baker, Mark Phillipson and Chris Sanders of Glasgow Caledonian University with two presentations about the hygrothermal monitoring at, and associated simulations of, a Historic Scotland site project in Glasgow. In addition to the ten presentations, WUFI computer simulations and on site moisture monitoring techniques were demonstrated. The seminar was organised to launch the publication of Historic Scotland Technical Paper 15 about Assessing Insulation Retrofits with Hygrothermal Simulation, authored by Joseph Little, Calina Ferraro and Beñat Arregi, all of whom are current or former members of Building Life Consultancy." "Hygrothermal building physics describes the intrinsically linked transport of heat and moisture. Moisture is a major factor in determining the performance and durability of solid masonry construction. Because of the coupled nature of heat and moisture transport, energy efficiency retrofits not only improve the thermal performance of building fabric, but almost always change its moisture performance also, often altering equipoised conditions. To prevent accelerated material deterioration, understanding the hygrothermal impacts of building alterations –from preservation actions to energy efficiency improvements– is particularly critical for structures exposed to significant levels of rain water and/or indoor vapour. Severe internal conditions can be created by inappropriate high-performance retrofits. Severe conditions of external exposure exist particularly at Scotland’s northern and western coastal regions and will get more extreme due to climate change. Bristol City Council recognises the need for both written retrofit guidance and skilled people to make this happen. Following on from our ‘Bristolian’s Guide to Solid Wall Insulation’, we have developed 2-day Responsible Retrofit training courses with the Council, covering both external and internal wall insulation. 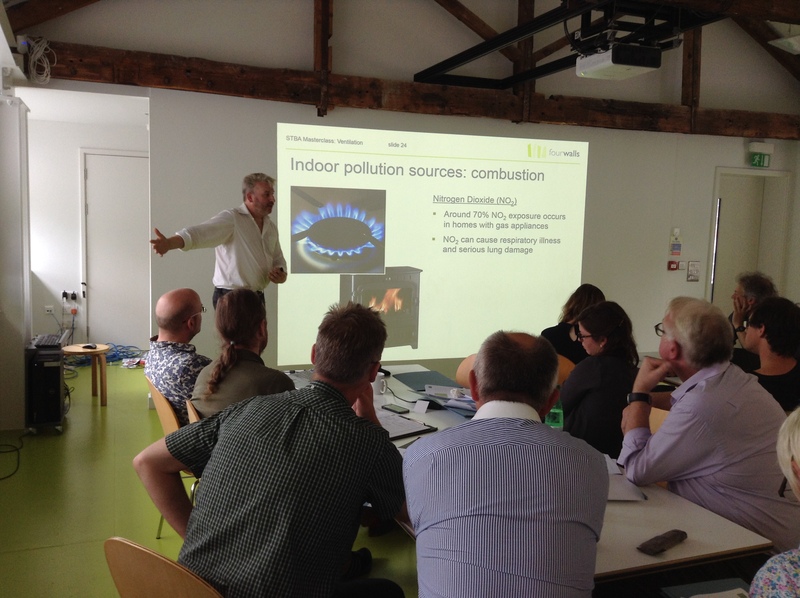 Together with Green Register, we are currently piloting separate courses for installers and for designers. The courses are designed to give practical help for the different types of construction and situations encountered in Bristol. To this end, a dedicated training rig has been built for the first pilot. The courses will culminate in a test to ascertain whether or not the desired level of knowledge and competence has been achieved. Site visits and other quality assurance will follow. The aim of these courses is to give successful installers and designers a new Bristol Kitemark, a sign of quality assurance for both householders and the Council. Matthew Smith (NBT) will join STBA's Neil May and Nicholas Heath as trainers for the Installer Training. These trainers will be joined by Rob Woodhouse for the Professionals' Training. Matthew Smith is Retrofit Manager at Natural Building Technologies (NBT), primarily focusing on technical support for the application of natural insulation products to existing buildings. Project management experience on numerous traditional building renovations, an MSc in Environmental and Energy Studies, and subsequent specialisation in moisture transfer and its effects on building fabric have given Matthew a valuable combination of theoretical expertise and practical experience. Matthew will lead on the IWI rig work for this course. Neil May is CEO of the STBA, and led the development of Bristol’s technical guidance and subsequent training courses. Neil is also an experienced builder and is the Founder of NBT, a leading sustainable construction company developing and supplying insulation products for both new-build and retrofit. In addition, he is a Senior Research Associate at UCL’s Institute for Environmental Design & Engineering, and Managing Director of the newly-formed UK Centre for Moisture in Buildings. Nicholas Heath is Technical Director of the STBA, and led the delivery of Bristol’s technical guidance and subsequent training courses. 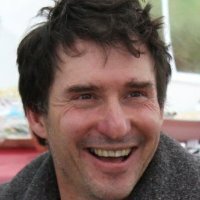 He is also Director of NDM Heath Ltd, an independent sustainable energy consultancy specialising in traditional building retrofit. 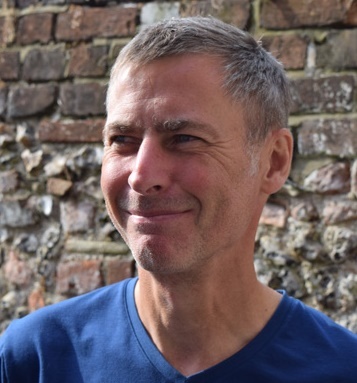 Nicholas has many years’ experience of retrofitting older and historic buildings, and of teaching at all levels – he is a part-time lecturer at the University of York, and delivers regular professional training courses for designers, installers and surveyors across the UK. Rob Woodhouse is a qualified Passivhaus tradesman with over 25 years’ experience of installing EWI systems across Europe, and has attained a recognised Austrian qualification for the theory and practice of installing EWI. Rob regularly provides technical advice and training for both designers and installers, and will lead the EWI rig work on this course.